Farm set. Hand drawn illustration vector. 图库插图: Farm set. Hand drawn illustration vector. Farm set. 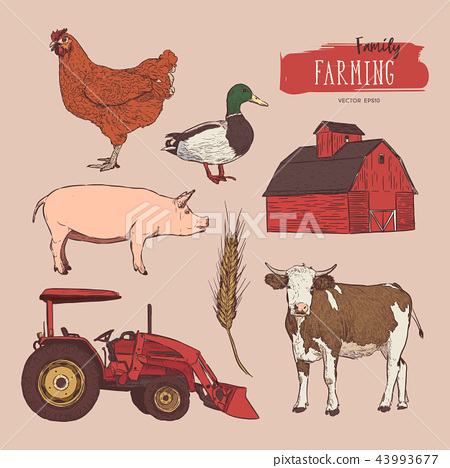 Hand drawn illustration of cow, barn, hen, grain, tractor and duck.